Tracy has committed much of her life to the study of the human body. She holds a Bachelor of Physical Education, she is a R.M.T., and is also an Osteopathic Manual Therapist with a B. Sc. (Hons) in Osteopathy. She is an owner/Osteopathic Manual Therapist at Well Within Osteopathy in Halifax. Tracy completed her first indoor cycling instructor course in 1998, and has taught through out the years since then. 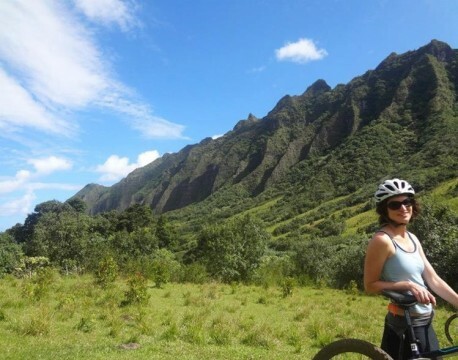 She is also an avid recreational outdoor cyclist. She completed her training as a yoga instructor over 15 years ago.Tracy has been part of the Halifax Yoga instructor team since the first yoga teacher training program and continues to facilitate the Anatomy portion of the course. When/where/with who was your first yoga class? My first class was at a YMCA in Toronto in the early 1990’s. I do not remember the instructor’s name, just that she was kind and I felt great after.